Practicing antimicrobial stewardship in the emergency department is important towards ensuring the safe and appropriate use of antibiotics. To gain insights on this increasingly important topic, a leading emergency medicine pharmacist is interviewed. Drug-resistant bacteria appreciate no boundaries and as a consequence it is important that antimicrobial stewardship efforts be employed throughout the spectrum of healthcare settings. This sentiment is echoed by the Joint Commission standards on antimicrobial stewardship which apply to hospitals and nursing care centers as well as the Center for Disease Control and Prevention core elements of outpatient antimicrobial stewardship document. Focusing on antimicrobial stewardship in the emergency department setting, many opportunities exist and pharmacists have been found to play an important role in the care of patients in the emergency department. In 2016 there was even a call to action for pharmacists to engage in antimicrobial stewardship within this setting. In considering that information from emergency medicine pharmacists may serve to expand the understanding of antimicrobial stewardship opportunities within their practice setting, the following interview was pursued. Here, leading emergency medicine pharmacist Dr. Nadia Awad tackles some questions about antibiotics in her practice area, providing a fresh perspective on the role of the pharmacist and how we can best serve our patients. You can find Dr. Awad’s biographical information at the end of this text. 1. What is the most substantial antimicrobial stewardship challenge healthcare workers in the Emergency Department face today? There are a number of challenges related to antimicrobial stewardship in the emergency department (ED), but I think most originate from the fact that traditional antimicrobial stewardship activities that are conducted in areas outside of the ED are not easily replicable within the ED. For one, the rate of patient turnover in the ED is relatively high compared to any other area within an institution. Second, patient disposition varies substantially from the “treat and street” to those requiring admission to the critical care units. Third, ED pharmacists work with a mixed provider population. This can present challenges for developing systematic antimicrobial stewardship processes. There is a certain element of creativity that must be incorporated into the underlying science of determining what types of stewardship activities can be conducted related to the use of antimicrobials in the ED. The prescribing of broad-spectrum antimicrobials is certainly not the answer for all patients and how to mitigate unnecessary prescribing will likely vary from institution to institution. It is important that healthcare workers (including pharmacists, nurses and prescribers) work together at the point of care to optimize the use of antimicrobials as it relates to the triad of suspected bugs, drugs, and patient factors. 2. What role do clinical pharmacists within the Emergency Department play in promoting antimicrobial stewardship? One role of emergency medicine (EM) pharmacists in promoting antimicrobial stewardship that has been often described in the literature is daily review of microbiological cultures. In these reviews, records of patients discharged from the ED are assessed to determine if patients were prescribed the appropriate antimicrobial agent based upon sensitivity results available after discharge. Such information can not only be used to optimize existing therapy, but feedback to providers may be essential towards improving their practice. EM pharmacists are also routinely consulted by prescribers to ensure that antimicrobial therapies do not have an impact on existent patient allergies nor interact with other outpatient therapies. This can help mitigate the incidence of adverse events for those patients being admitted or discharged from the emergency department. 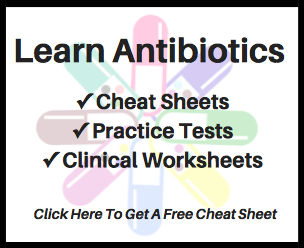 In addition, EM pharmacists can provide focused education on various infectious diseases commonly encountered in the emergency department and their respective appropriate empiric antimicrobial therapies to both new and seasoned clinicians. Dose optimization for antimicrobials in those patients with co-morbidities (particularly those patients who are obese and/or with underlying organ dysfunction) can be conducted by EM pharmacists. EM pharmacists can also guide decision making related to prescribing of antimicrobial agents through creation of an antibiogram specific to local susceptibility patterns for inpatients and outpatients who have presented to the emergency department within the previous year; this can be done in conjunction with other stakeholders of the multidisciplinary team (e.g. representatives from the departments of infectious disease, microbiology, and emergency medicine). Finally, EM pharmacists can play an important role in educating patients and their families about the safe and appropriate use of antimicrobial drugs. 3. Are there one or two antibiotics Emergency Department pharmacists get questions about more than an others? Common questions related to antimicrobials in the ED that I receive during my clinical shifts on a near daily basis relates to cross-reactivity between classes of beta-lactams. I frequently provide recommendations for antimicrobials in the setting of patient allergies that are documented in the electronic medical record. Two classes of agents that I often get asked about related to this topic include penicillins and cephalosporins. In addressing the issue, I usually summarize this free and open-access reference authored by my fellow EM pharmacist colleague Dr. Bryan Hayes. Beyond answering questions related to cross-reactivity between penicillins and cephalosporins, I also frequently assist in determining the appropriate antimicrobial agent for a given indication. If there is a way that an alternative and possibly more effective antimicrobial agent may be used than what is initially intended (or if no antibiotics are indicated), I work with my providers to ensure this is considered. 4. Are there any antimicrobial stewardship interventions that you would consider low-hanging fruit for the Emergency Department? One approach related to antimicrobial stewardship that can make big wins in the ED actually has a lot to do with the unique nature of our patient population. We are often the first point of contact in treating patients who present to the ED time and time again. Given that pharmacists are constantly staffing the ED and acquire a high level of familiarity with these patients, we are in a great place to help providers identify what drugs may or may not be needed. This can be particularly valuable when these “frequent flyers” require numerous readmissions to the hospital. The aforementioned review of antimicrobial susceptibility testing results can also be low-hanging fruit. This may take just a few minutes, but it can make waves in not only prescribing optimal antimicrobial therapy that will be a better target for the source of infection, but also in preventing perpetuation of antimicrobial resistance, which we know is a growing challenge that we face across our health systems. 5. What advice do you have for pharmacists and physicians without experience working in an Emergency Department who want to enter this setting and promote appropriate antibiotic use? One strategy for those who wish to implement antimicrobial stewardship activities in the ED is to compose a meaningful team of individuals who will work collaboratively. This group should try to ensure that an efficient and robust service is built with short- and long-term goals focusing on how appropriate antimicrobial use can be promoted within this setting. Engaging stakeholders is key to creating change. Other opportunities may be identified via review of existing institutional resources and technologies. Through evaluation of available systems and data, institution-specific needs can be identified. This can then be leveraged to help enhance the care of patients admitted to the institution and discharged from the ED. Through this method you may find that building clinical pathways, focused education to providers or enhancements to clinical decision support systems are prime for intervention. With all of this, enhanced communication is essential, and as a pharmacist, in serving as a resource and demonstrating the contributions that we can make to the multidisciplinary team on behalf of the patient, this can allow for further understanding of the rationale of our role in the ED, which may make antimicrobial stewardship a welcome opportunity in this setting. I would like to express my utmost appreciation to Dr. Awad for taking time out of her busy schedule to participate in this interview and share her perspectives on antimicrobial stewardship in the emergency department. Please be encouraged to follow her @Nadia_EMPharmD on Twitter and visit www.empharmd.blogspot.com for more on Emergency Medicine Pharmacy. Davis LC, et al. Pharmacist-driven antimicrobial optimization in the emergency department. American Journal of Health-System Pharmacy. 2016; 73: S49-56. Bishop BM. Antimicrobial stewardship in the emergency department: challenges, opportunities, and a call to action for pharmacists. Journal of Pharmacy Practice. 2016. 29(6): 556-563. Expert HD, et al. ASHP guidelines on emergency medicine pharmacist services. American Journal of Health-System Pharmacy. 2011. 68(23): e81-95. Barlam et al. Implementing an antibiotic stewardship program: guidelines by the Infectious Diseases Society of America and the Society for Healthcare Epidemiology of America. Clinical Infectious Diseases. 2016; 62(10): e51–e77. Dr. Nadia Awad is an emergency medicine pharmacist at Robert Wood Johnson University Hospital in New Brunswick, NJ. After obtaining her Bachelor of Arts degree in Biological Sciences from Rutgers College in 2007, and earning her Doctor of Pharmacy degree from the Ernest Mario School of Pharmacy at Rutgers University in 2011, she completed two years of post-graduate residency training at Robert Wood Johnson University Hospital, specializing in emergency medicine pharmacy. She is board certified in pharmacotherapy. She has authored over 15 peer-reviewed journal articles and research abstracts, and she has presented on topics related to emergency medicine pharmacotherapy and toxicology at several national conferences. In addition, she is the associate editor of the blog, Emergency Medicine PharmD (http://empharmd.blogspot.com), and she has authored over 75 educational entries related to the application of pharmacotherapy in the emergency department since its launch in 2012, which currently garners approximately 50,000 views per month from an international audience. She can be followed on Twitter at @Nadia_EMPharmD.